Canada and the United States came to an agreement at the 11th hour last night to save the The North American Free Trade Agreement (NAFTA). 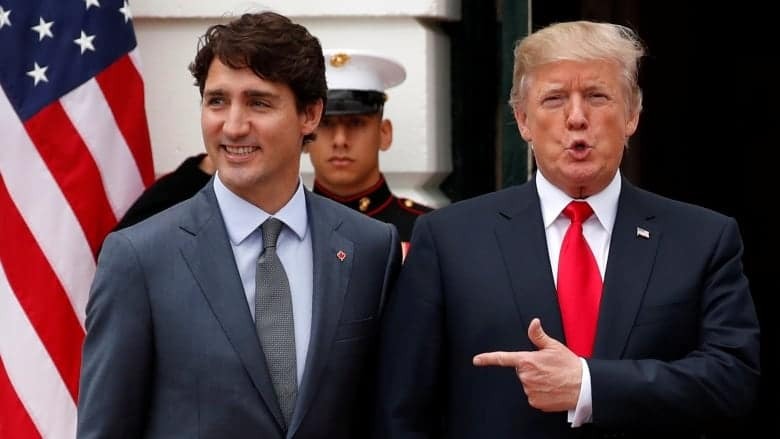 The Agreement now has new name, the United States-Mexico-Canada Agreement (USMCA). Now What? The Agreement comes as a relief to Canadians, as many if not most held that the repeal of NAFTA would have had disastrous effects on our economy, potentially destroying our auto sector. Indeed, in 2017 alone two-way trade between the U.S. and Canada totaled over 580 Billion Dollars. The loss of Free Trade with the U.S would have severely undercut the immense trade between the two countries, and thousands of jobs would have been lost. For most Canadians not much has changed with the USMCA. One of the biggest fears, tariffs on the automotive sector (including parts and fully built automobiles) were excluded from the Agreement. Given that Canada exported 71 Billion Dollars in Parts and Automobiles to the U.S. last year, this was a huge relief to manufacturers, factory employees, and everyone in the country in general. Canada did have to allow access to the U.S. Dairy Farmers, which was a sticking point in negotiations, especially for U.S. President Donald Trump. With that said, Canada was able to maintain the dispute resolution mechanism, which enables Canada to enter into arbitration if it thinks the U.S. or Mexico has acted in contravention to the USMCA. This was a huge sticking point for Canada, as it ensures that the rules of the Agreement are followed. This mechanism was used in the early 2000s when the U.S. imposed tariffs on Canadian softwood lumber. The U.S. Economy boomed throughout 2018, growing at an annualized rate of 4.2 percent. Many experts are predicting that with the lower taxes imposed by the Trump Administration the U.S. is likely to experience long term economic growth for at least a decade. The General Rule is that as the U.S. booms, Canada is not far behind. Indeed, signs of a revving Canadian economic engine were present in late summer, as the Canadian economy outpaced the Bank of Canada’s forecast with 2 percent growth rate. This is likely to continue as Canada follows the U.S. down the path of increased investment and economic expansion. In previous Posts I noted that in normal times increase economic expansion and a rise in interest rates go hand-in-hand. At the time, we were not in normal times as the fate of NAFTA hung in the balance. Indeed, Bank of Canada Governor Stephen Poloz said on many occasions that he was holding off on a rate increase until the NAFTA situation with the U.S. was worked out. With the implementation of the USMCA, we are now back to normal times (thankfully). As the Canadian Economy continues to grow expect the Bank of Canada to raise interest rates as means of staving of inflation. While a growing economy is good, if it grows too quickly prices start to outpace income, which can lead a real problem as people can no longer take advantage of the economy’s growth. The Bank of Canada will look to ensure that the growth is managed effectively with few workers displaced by the expansion. If you are currently in a Variable Rate Mortgage it might be worth considering locking-in to a Fixed Rate Mortgage to see how this plays out for the next few years. Save some external event that would severely hamper the economy, it is likely that rates will continue to rise at a reliable pace for the next few years. If you are Refinancing or Renewing Your Mortgage it might be worth considering a 5 Year Fixed Mortgage Rate. The economy will likely continue to grow for the next few years, followed steadily by rising interest rates. While we do not know where we will be in 5 years, it might be worth considering a Fixed Mortgage Rate as we wait to see the full effects of the growing U.S. economic engine. Indeed, while we are certainly out of the woods for the immediate future, the U.S. has become increasingly unpredictable in recent years, and no one really knows what event could arise to change all of the ‘expert advice’ being offered in the wake of the NAFTA scare.